The Company has observed an increasing and continual growth in demand of Integrated EPC services from both domestic and overseas customers, especially for energy, petrochemical and power industries. The Company’s competitive advantage in terms of cost and specialized engineering teams for operating mega projects and complex technologies enable TTCL to expand its international businesses to overseas markets, particularly ASEAN Economics Community Countries (AEC), United Arab Emirates and Qatar. 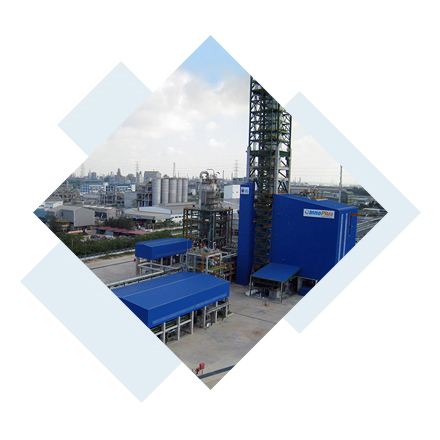 In June 2009, TTCL issue an initial public offering and became a listed Company in the Stock Exchange of Thailand, thereby enhancing the Company’s financial strength and credibility to international investors. At present, as a leading provider of Integrated EPC for more than 30 years, the Company has succeeded in the design and construction of more than 200 projects, demonstrating the Company’s reputation and trust among customers in terms of quality design and construction, scheduled delivery of work, and safety in operations. Besides, the Company increased its paid-up capital to 560 Million Baht in late 2013. Subsequently, the Company increased its capital to 896 Million Baht in 2018 which is the paid-up capital to 616 Million Baht. The objective is to support the working capital requirements and investment to expand its business in the future.